Protect your family members with Dettol’s germ safety. Buy Dettol Liquid Handwash (Skincare) – 200 ml with Free Liquid Handwash – 175 ml (Any Variant) at Rs 53 only on Amazon. 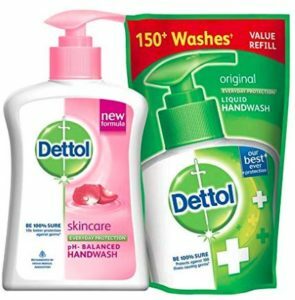 How to Buy Dettol Liquid Handwash (Skincare) – 200 ml with Free Liquid Handwash – 175 ml (Any Variant) at Rs 53 only?